Moldovan-Ukrainian project “Enabling transboundary cooperation and integrated water resources management in the Dniester River Basin” is based on results and recommendations of a series of projects on the Dniester river basin implemented in the frame of the Environment and Security Initiative (ENVSEC) with guidance from the UN Economic Commission for Europe (UNECE), Organization for Security and Co-operation in Europe (OSCE), UN Environment Programme (UNEP) and UN Development Programme (UNDP). The project is tasked with development of the transboundary diagnostic analysis (TDA) compliant to the art. 5 of the EU Water Framework Directive (WFD). The main activity foreseen under this component is to prepare report on main anthropogenic pressures and assessment of impacts on surface waters from the different sources. Please note that this is a consultancy assignment of approximately 25 working days. The consultant will be required to work from home with the ability to travel if necessary. To develop a report with recommendations to the project team. There should be not more than 15 recommendations; they should be specific, measurable, achievable, and relevant. A recommendation table should be put in the report’s executive summary (8 days). Familiarity with GEF International Waters strategies and its portfolio. This position is for internationals only. 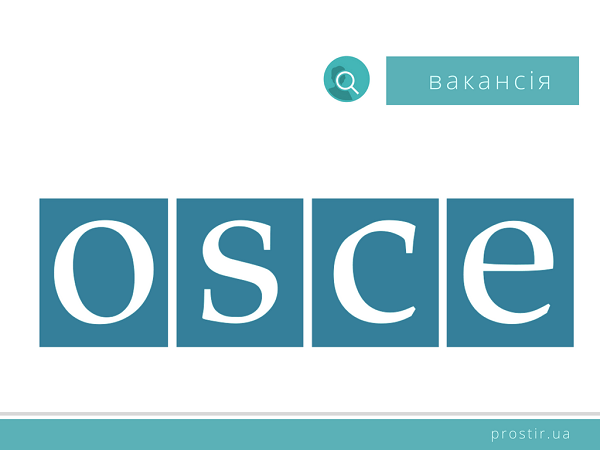 We strongly encourage applicants to use the online application system at https://jobs.osce.org; the Vacancy Number is VNUKRC00543. The deadline for applications is 17 February 2019. If you have difficulties with the online system, please use the Internet Explorer to find the vacancy or you may use the OSCE’s off-line Application Form available at https://jobs.osce.org/uk/resources/document/anketa-na-vakansiyu; you should complete the Application Form and send it via e-mail to [email protected] indicating the title of the position on the Application Form and in the cover message subject. Applications received after the published deadline will not be considered. Due to the high volume of applications, only short-listed candidates will be contacted. Details of the assignment and contract may be further discussed during the interviews.